Let's start our verse-by-verse journey through the book beginning with Revelation chapter 1. Each page (there will be multiple pages for some chapters) will be linked sequentially to the next. May God bless your study. Notice the progression here. God gave to Jesus Who sent by his angel unto his servant John who, of course, wrote what he saw for us. Note that "servants" is plural and that angels and humans are both called servants (Rev 22:8-9). 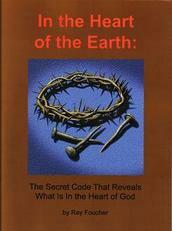 The book is the revelation of Jesus in two ways. It is His revelation, what He was revealed for us so we can know what will shortly come to pass. It is a revelation of Him; it has much to say about His role in history and in our salvation. The book of Revelation is all about things that are revealed or shown or made known. It is not a book about things that are hidden. Having said that, there are many symbols used whose meaning may not be immediately obvious. However, here is the key. The Bible, either in the book of Revelation itself or in other places in the Bible, provides the meaning of the symbols used. This phrase reflects the fact that John and many other Bible writers seemed to live in expectancy of a soon second coming. It is interesting to trace this attitude though the Bible. Doesn't it make more sense that Revelation was written primarily for His servants who live at the end of time for whom the things written will be shortly coming to pass? The messages given by the 144,000 include to "fear God." (Rev 14:7). Surely those giving the message telling others to fear God must fear God themselves. Is this saying his servants are prophets? A prophet is one gives a message from God or who speaks for God, not necessarily telling the future. It sounds like obedience is a feature of his servants. "Signified" is defined as 1) to give a sign, to signify, indicate 2) to make known. This seems to refer to the fact that symbols were assigned to items in Revelation. An example would be: "the seven stars are the angels of the seven churches" (Rev 1:20) which assigns to stars, used as a symbol, the meaning of angels. things which must shortly come to pass"
This verse links it with prophecy. Prophecy has much to do with future events but it can also have a personal application. A blessing is promised to those who read and hear but it is also conditional on obedience to the message given, it seems within the book of Revelation. A person is not blessed if they read and hear but don't keep. This is the first of seven blessings in the book of Revelation. The others appear in Rev 14:13, 16:15, 19:9, 20:6, 22:7 and 22:14. Here we have the number seven which appears quite often in the book of Revelation. The number seven is used with many symbols and seems to be symbolic itself - of perfection or completeness. John wrote letters to seven churches in Asia Minor (now western Turkey) in the last decade of the first century AD. He had his headquarters at Ephesus and was finally exiled by the emperor Domitian to the nearby Island of Patmos (verse 9) where he wrote the book of Revelation. There were actually more than seven churches in Asia Minor; also mentioned in the Bible were Colossae (Col 1:2) and Hierapolis (Col 4:13) but John was instructed specifically to write messages to the seven that he actually pastored. These messages appear in chapters 2 and 3. "First begotten of the dead"
How is he "the first"? Weren't others raised from the dead before Him? First does not always refer to first in time. It can also mean first in position. A good example is David who was counted and treated as the firstborn even though he was the youngest brother in his family. This, while, in context, speaking of David, is also a Messianic prophecy. "The prince of the kings of the earth"
It is interesting that the next verse in Revelation says that we will be kings. We are called to be priests in the sense that we can petition on behalf of others. The "clouds" are clouds of angels. The group described as "they also which pierced him" seem to be involved in a special resurrection which is alluded to in Dan 12:13. "Alpha and omega" being the first and last letters of the Greek alphabet is another way of saying the beginning and the ending or that He is all-inclusive. He also is closely identifying Himself with His Father from Whom, after His resurrection, He received all power. Thus He can use the term "almighty." John is speaking to the servants of God and has identified himself as a servant (verse 1); thus he uses the terms "brother and companion"
Back in verse 2, John said that he "bare record of the word of God and of the testimony of Jesus Christ." He shared what he had been shown and the result was that he was exiled to Patmos for exactly that. This was after, according to history, He was thrown into a pot of boiling oil and emerged unscathed. John now begins to relate what he saw and heard. He describes himself as being in the Spirit or in vision on the Lord's Day. Many people, because of popular use and tradition, understand this to be a reference to Sunday, the first day of the week. But is Sunday actually the Lord's Day of the Bible? Since the servants of God are present in an end-time context (Rev 7:3), is this perhaps a suggestion that the seven churches (at least in one meaning) are in an end-of-time context? The phrase "must shortly come to pass" would seem to indicate that the answer is no. However, remember, even the apostles lived with an expectancy of a within-their-lifetime, soon second coming. We are told in v20 that "the seven stars are the angels of the seven churches" and the seven candlesticks ... are the seven churches." So here, the son of man (dressed in the attire of the high priest) is among the candlesticks as though He is ministering to (the people of) the churches. The "golden girdle" is a reference to the breastplate that held the stones representing the tribes of Israel. Jesus has His people close to His heart. What normally comes out of the mouth? Its function is described as "a discerner of the thoughts and intents of the heart." Men will be judged on the basis of God's word. Their memory - the memory of the dead people - is forgotten, not the memory of others about them. Others, still living, remember them just fine. They will even say "we are gathered here today to remember our dearly beloved ..." It's the still-living who are remembering, not the dead. The original word for "power" (exousia, Strong's G1849) is often translated as "authority." The word translated as "take" (lambano, Strong's G2983) is most commonly translated as "receive" as it is translated later in the same verse – "received of my Father." This can be seen as support for the idea of there being applications both in John's time ("things which are") and in the future, possibly at the end of time ("things which shall be hereafter;"). There is scriptural evidence that the seven stars (angels) of revelation chapter 1 are the elders of those churches.